Countdown to the 23rd edition. 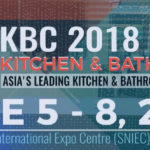 The 23rd edition of K&B, the famous Asian showcase dedicated to Kitchens & Bathrooms,will welcome over 5,000 exhibitors and more than 110.000 business operators. A strategic network and unmissable opportunity for Designers, architects, distributors, furniture and accessories producers, engineers and retailers from all over in Asia. Graphics, content and navigation experience completely renovated and waiting to be discovered. www.okite.com acts as a tool for discovering news, initiatives and creative ideas in the world of quartz surfaces under the OKITE® brand. Through the portal, featuring a next generation web design, you can find out the latest news about the OKITE® world, the full range of products, the events and many curiosities. In addition, the site contains a direct link to the professional area, a space reserved to furniture and design professionals. A wide range of photographs that talks about OKITE® ideas and successes from applications in the kitchen to the bathroom and in any room of the house, from the coverings of prestigious flagship stores of major national brands to the creation of real works of art. The new OKITE® portal leaves nothing to chance and comes with completely revamped simple graphics layout, intuitive and appealing that represents the characteristics of the brand: tradition and innovation Made in Italy with a great attention to the customer, that may benefit from a highly user-friendly, dynamic, fast and accurate interface in every detail.